One possible solution is that you can use Perian to get these files to play by the default QuickTime on Mac. If you stick with iTunes, you need to convert Divx/Xvid to iTunes friendly format like MP4, MOV. You can get Brorsoft Video Converter for Mac to achieve your goal. Overall, the program can be used as a utility to convert Divx, Xvid to iTunes compatible file format like mp4, mov, m4v with high quality and fast encoding speed. Besides Divx, Xvid files, it can also help you encode/re-encode almost all 4K, 1080p, 720p HD videos including AVI, MKV, VOB, MPG, MOV, TiVo, MTS etc. to iTunes as well as iPhone, iPad, Galaxy Tab, Kindle Fire HD and more media player or devices. For Windows users, please turn to Video Converter. Note: For Mac (Yosemite, Mavericks included) users, just follow the detailed guide to complete your conversion. The way to transfer Xvid, Divx to iTunes (iTunes 12) on Windows is the same. Just make sure you’ve downloaded the right version. Launch the XviD/DivX to iTunes converter, then head to the folder where your source videos are stored. Add the files to the program. Batch conversion is supported. Since iTunes supports MP4, M4V and MOV formats, you can click Format bar and choose any of the three from Common Video as the output file format. If you want to import Xvid, Dvix to iTunes for playing on iPhone, iPad, iPod, Apple TV, etc., you can also directly select a format from decent device preset like iPad. Tips: If you think the video size this not suitable for your iOS devices, you can first choose any one of the provided type, then change the “Settings”. Please remember the file size is based more on bitrate than resolution which means bitrate higher results in bigger file size, and lower visible quality loss. Click the “Convert” button at the bottom right corner; it will start to convert XviD/DivX movies to iTunes immediately. After the conversion, get the output files by clicking the Open button. Now add the converted files to iTunes library. iTunes will now have no trouble to transfer the XviD, DixV files to iPhone, iPad, iPod, or streaming to apple TV. Enjoy yourself! Have a Netflix DVD that I would like to watch but I don’t have a DVD player connected to my TV. Is there any way to stream these DVDs from my computer? I can’t really connect the TV directly to the computer because it is mounted high on the wall. I heard about it’s possible to use Chromecast to stream DVD from PC. So I have scoured the internet, tried everything I could find, and have a decent solution to chromecast DVD from computer to my TV. Share with you now. Get some tech support, I got know it’s not like that you can directly cast movies played from the laptop’s DVD drive, what you can do is to rip DVD content to your hard drive in a common video format like MP4 on the laptop and use the Chromecast’s local playback workaround to stream the movie. 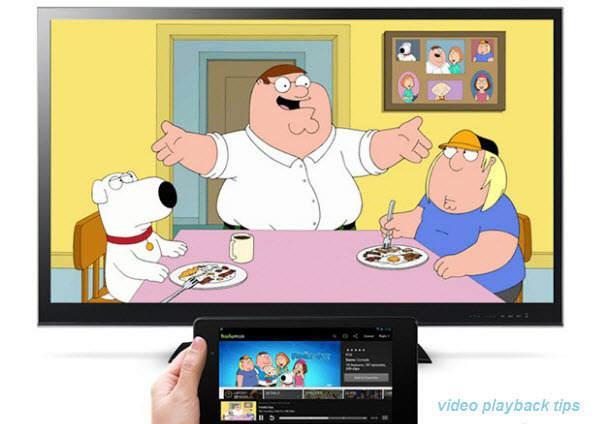 To rip DVD movies for Chromecast effortlessly, Brorsoft DVD Ripper is the bee’s knees, which can help you finish DVD conversion bypassing DVD copy protection. 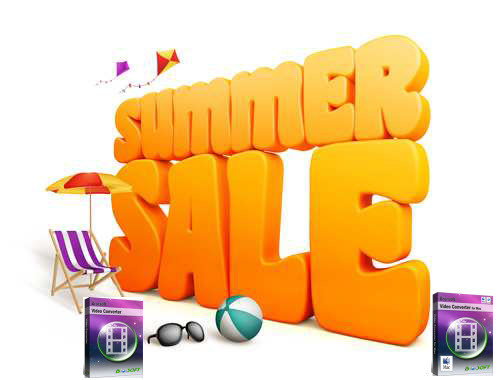 With it, you can convert DVD to almost all regular video formats like MP4, MOV, MKV, FLV, WMV, AVI, etc. and even extract MP3, WMA, FLAC, OGG, etc. audio from DVD movies. What’s more, it allows you to copy your DVD to hard drive with original structure or main movie only. If you’re using a Mac, please turn to DVD Ripper for Mac, which enables you to convert DVD for casting to Chromecast on Mac OS X (Yosemite). Step 1. Insert movie disc into the DVD-ROM, on the software, click “load DVD” button. It doesn’t necessarily to be a DVD optical media, it can also be an ISO/IFO files to convert to playable digital file format. Step 2. Click Format and set the output video format as .mp4 from Common Video. 1. If you like to tweak a little, in the settings, you are allowed to change the frame rate, resolution, bitrate and other specifications of the videos, if the tech terms look taunting to you, proceed to the next step. 2. Before conversion, you may want to trim the unnecessary parts from the movie. Step 3. Click Convert button to rip DVD to MP4 for Chromecast streaming. Once the conversion finished, try to open a new tab in chrome and drag a converted mp4 movie to the address bar, and use Google cast to send the movie to Chromecast for enjoyment on your TV’s big screen. I’ve talked about how to get AVI videos onto Roku 3 with smooth playback before. Well, in fact I have a lot of video files, mostly .vob from my DVD collection. I cannot find a clear answer on if and how well the Roku 3 will play these VOB files using the USB port with a flash drive. So how can I play VOB files on Roku 3 easily? I have scoured the internet, tried everything I could find. Some guys mentioned Roku should be able to play VOB files. The problem is – the Roku software isn’t looking for .VOB extensions, so it doesn’t know to play them. All we have to do is rename their extension to .MPG (which of course will screw up all your other *real* DVD player software) and the Roku 3 will play them. Result: I’ve tried the way, but no luck. There’s an other workaround that can make VOB movies playable on Roku 3- Encode VOB to Roku 3 officially supported MP4 videos. The software has a codec pack that enables conversion between different video and audio file formats, it can convert VOB , AVI, MOV, MKV, FLV, MPG, etc to Roku 3 supported file format such as mp4 with the best quality. 1. Start video converter, drag and drop the VOB files to the software window to import. Tip: Click Settings icon, you can adjust the video, audio parameters, such as changing the aspect ratio or specifying the video resolution. 3. Hit the Convert button to start converting VOB to Roku 3 playable MP4 video. After the conversion, transfer the converted videos to Roku’s SD card or to a USB stick that can be attached to Roku 3 streaming player. 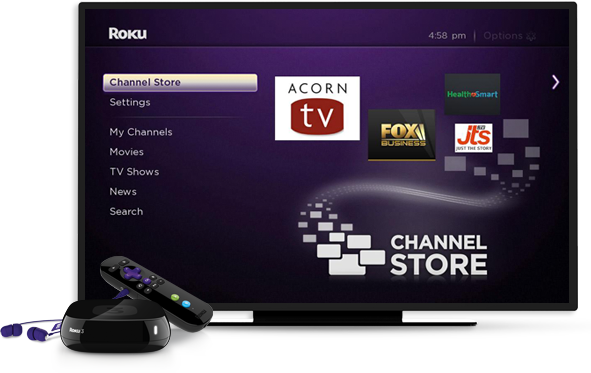 Now you can enjoy VOB movies with Roku 3 at ease. There’s issue that troubled me for days. iTunes 12 won’t add mp4 video files to the library. Got some tech support for Apple support, I’ve figured out a fast way to enable MP4 imported to iTunes 12 easily, so that I can play or sync the MP4 media via iTunes as what I want. MP4, as a container format, differs in video codec. If your MP4 files are rejected by iTunes, it’s most likely the codecs in MP4 files are unaccepted by iTunes. To copy MP4 to iTunes 12, you will need to convert MP4 to iTunes compatible video, audio codec. Here I used a great video converting tool- Brorsoft Video Converter for Mac to accomplish the task. This MP4 to iTunes 12 video converter has optimized presets to let you set output format both compatible with iTunes but also with your corresponding Apple device including iPad, iPod, iPhone, Apple TV. So you don’t need to pay any extra attention to the video, audio codec the output videos should contain- in other words, you no longer need to worry about if the output videos are compatible with iTunes and iOS devices or not. This video converter brings you the 100% compatible format for your iTunes 12 and Apple devices. Plus, with it built-in editor, you can just edit your MP4 video to make your own movie by trimming, adding effects, adding subtitle, etc. To encode MP4 to iTunes 12 on Windows, please get MP4 to iTunes Converter for Windows. 1. To import your local MP4 video files to this app for video conversion, you have two optional ways. One is to hit the Add menu to browse your computer to select and import your MP4 files. The Secord one is to directly drag and drop your local MP4 files to this program. 2. Click Format bar you can set MP4, M4V, MOV from Common Video as target format. Tips: In order to make the output files 100% supported by iTunes, the directly-optimized pre-settings are strongly recommended. Selecting one of them as the output format is the best choice for you, so you don’t worry about the video codec error. Click Format bar, and then go to the “iPad”, “iPhone”, “Apple TV” category to select the Apple device model you want. The output format is not only fully compatible with iTunes, but also suitable for the corresponding Apple device best. 3. Press the “Convert” button on the bottom-right corner of this app’s interface. By doing this, you’re asking this app to start converting your MP4 files to iTunes 12. Next, you can let it do the resting thing in the background. 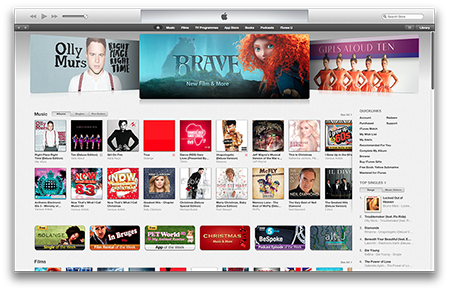 Editor’s Note: For iTunes 12 users, it would be a bit different as the old version. When you add movies to iTunes 12, you can check the Home Videos Tab under Movies. Your movies should be there. When you import AVI to iTunes 11 library, you’ll be disappointed since iTunes doesn’t natively support the .avi format. As far as I know, any videos you try to add to iTunes need to be encoded with H.264 and wrapped up in MP4, MOV or M4V file container. Thus, to play MP4 video files in iTunes, there is a need to convert AVI to iTunes compatible formats first. Actually, it is not hard work. Get an AVI converter and transcode AVI files to MP4/MOV/M4V, which will save you both time and trouble, and all you need is to drag the result videos to iTunes library for playing, syncing, organizing. For this purpose, this article will show you how to convert AVI to iTunes playable video in detail. Step 1: Download, install and run Brorsoft Video Converter, and then click the “Add” button to load the .avi videos. The program is an easy-to-use yet professional app which can be used as the best AVI to iTunes converter. It supports you to encode AVI to iTunes without hassle. The main features of this converter are high conversion speed with zero quality loss and supporting to convert from and to more than 70 formats like MP4, AVI, FLV, WMV, MKV, MOV, etc. If you’re using a Mac, simply get the equivalent Mac version Brorsoft Video Converter for Mac to convert AVI to iTunes 11 on Mac. Step 2: Since iTunes supports MP4, M4V and MOV formats, you can click Format bar and choose any of the three from Common Video as the output file format. If you want to transfer .avi files to iTunes for playing on iPhone, iPad, iPod, Apple TV, etc., you can also directly select a format from decent device preset like iPad. Step 3: Simply click the “Convert” button to start converting and everything else will be automated. If you have added quite a bunch of video files, it would take some time to convert. In such case, you can click Option and tick the box “Shut down the computer after conversion”. You’re done. Now your AVI files will be converted into MOV/MP4/M4V files ready to be imported to iTunes 11 beautifully. Additional Tips: If you have some WMV, FLV, MPG, VOB, MKV to iTunes, this AVI to iTunes Converter can also help you to achieve your goal effortlessly. 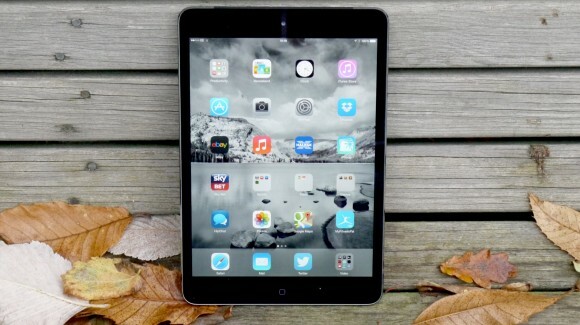 When you try to load MKV to iTunes library, or even want to add them to work on your iDevices like iPhone or iPad, you may have met some troubles like above quoted. Are you looking for a simple solution to importing mkv files into iTunes with smooth playback? Here is how to. In fact, MKV is unaccepted by iTunes. Since iTunes only accepts MOV, MP4, and M4V formats, you will need to convert .mkv to iTunes supported format and then transfer to iPad and other iOS devices. Brorsoft Video Converter is just such a video converter you need, which comes with super high conversion speed and keep the output files in good quality simultaneously. If you running a Mac computer and looking for a solution for converting MKV to iTunes on Mac, please try Video Converter for Mac. Now follow the step-by-step guide for you. 1. Install and run this best MKV to iTunes Converter. Click Add button to load multiple files to the program. You can also drag videos to the converter directly. 2. Click Format bar and choose any of the MP4, M4V and MOV from “Common Video” as the output file format. If you want to add .mkv to iTunes for playing on iPhone, iPad, iPod, Apple TV, etc., you can also directly select a format from decent device preset like iPad. 3. Finally click the Convert button to begin encoding MKV to iTunes friendly format. After encoding process has finished successfully, go into the destination directory and drop the converted files into iTunes or use the “Add to Library” option on the “File” menu. Once all this is done, sync your iOS device with iTunes and your videos will be ready to play, enjoy them! Get some tech support from online, I got know that some video formats will use different settings and encodings for audio, it seems that my Samsung TV will only take a specific type of .mkv, your best bet is to format the other videos into the exact same way as the video can work or hook up a laptop/computer to your TV and play your videos through that. Got some detailed info of my MKV files, and found DTS encoded MKVs are usually what won’t play well on my Samsung TV. And from Samsung TV official website we know that Samsung TV best video format is H.264 codec MP4 format. To playing MKV files on Samsung TV, we’d better convert .mkv to the best compatible format for Samsung TV, so that you can avoid video playback issues. I’ve tried the solution; it really works. Here I will share a quick solution with you. Follow me. 1. Download Brorsoft video converter, the software is a video transcoding tool, equipped with a codec pack that contains various codecs, including both mkv(. *dts support) and mp4. The software is able to convert MKV, AVI, MTS, WMV, MOV, MPG… any popular video files to a decent format you need. Plus, it offers kinds of preset profiles for media players including iPad, iPhone, Nexus 7, Nexus 10, Nook HD, Samsung Galaxy Tab, Galaxy s4, etc to meet your different needs. If you are Mac users, please turn to Video Converter for Mac. 2. Start MKV to Samsung TV converter and drag .mkv files to the software interface to import the file. It support batch conversion. Tip: If you wanna join MKV files into one, please check out the “Merge into one file” box. 3. Set output video format as H.264 MP4 under Format > Common Video. In general, mp4 is a well-accepted file format for its ability to save memory storage and keep up the video quality. Tip: Before start the MKV conversion for Samsung Smart TV, you can click the Settings icon and adjust the video bitrate, codec, frame rate, audio sample rate, etc parameters. You can also click Edit to crop the source video so as to get the part you want and get rid of some black bars or even trim the ads part off. 4. 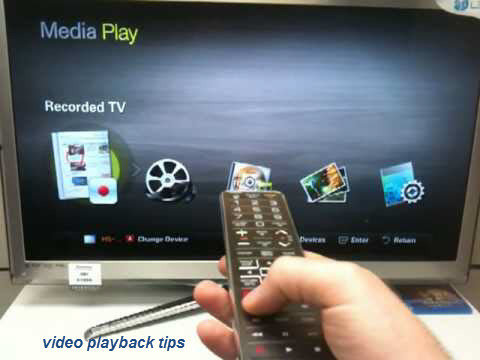 Hit the Convert button; this video converter will start to convert .mkv to mp4 for playing on Samsung TV immediately. After the conversion is over, head to the destination folder where the converted files are stored, and then you can play (1080p) MKV files on Samsung TV smoothly. Enjoy.